Really felt great about today's sessions. 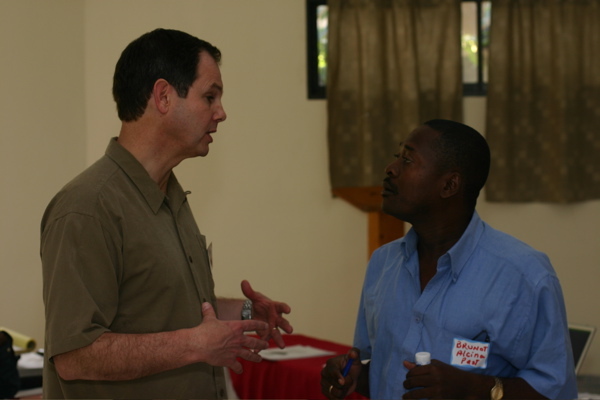 The longer we're here, the more we're comfortable in our setting and the more the pastors are comfortable with us. The Q & A times were the best. And I wish you could have seen their faces as I compared pastoral ministry to Spock (all logic and mind), McCoy (all heart and no logic, sacrifice the ship to save two people on the planet) and Captain Kirk (balance of caring for individuals and the entire ship and mission). Didn't mention that he also always got the girl. Just didn't apply. They'd never seen the show, but I'm sure they were mesmerized by my description of it! 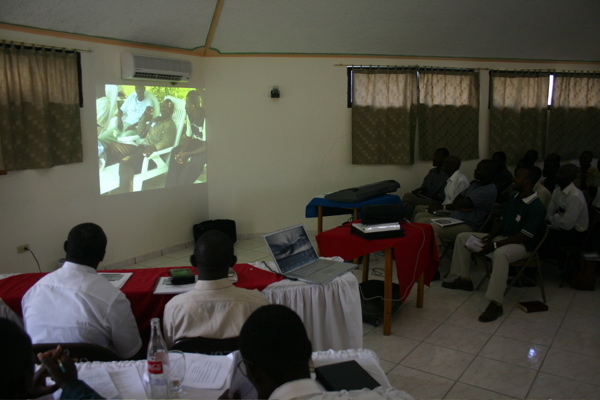 The pastors enjoyed a slide show to music featuring them. They really had a great laugh at themselves.